"Nikon has developed a habit of making very attractive entry-level DSLRs, which are rarely the best specified but cleverly designed so that they're easy and enjoyable to shoot with. The D3000 fitted this pattern perfectly, a gentle refresh of the D60 (which was itself a slightly updated D40X), it added ease-of-use features to make it a pleasant little camera despite a specification that was beginning to look rather out-of-step with the rest of the market. The D3000 sold well, despite its rather aged 10 megapixel sensor and lack of both live view and video. However, there's only so long that clever product design and feature integration can make up for a specification that looks dated. So with this in mind, Nikon has announced the D3100 - probably the biggest refresh of its entry-level offering since it really attacked the low end market with the original D40." Not surprisingly, Nikon send a D3100 over to dpreview - hey, if I were them, I would too - and a six page preview is the result. A few things I didn't know before: the videos are limited to 10 minutes long, which isn't such a bad limitation. Also, the Guide Mode looks pretty helpful for beginners. 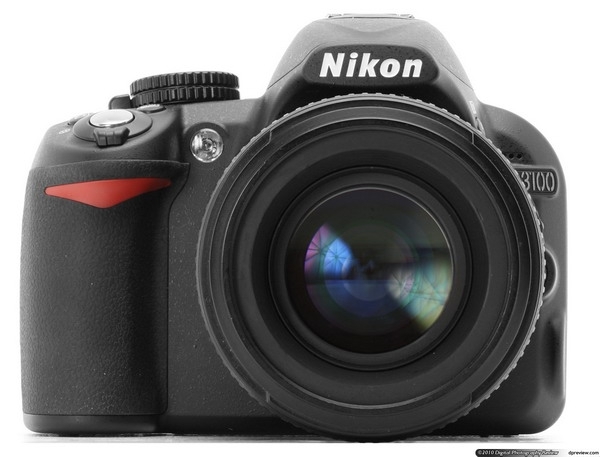 Definitely worth checking out of the D3100 is on your potential wish-list!